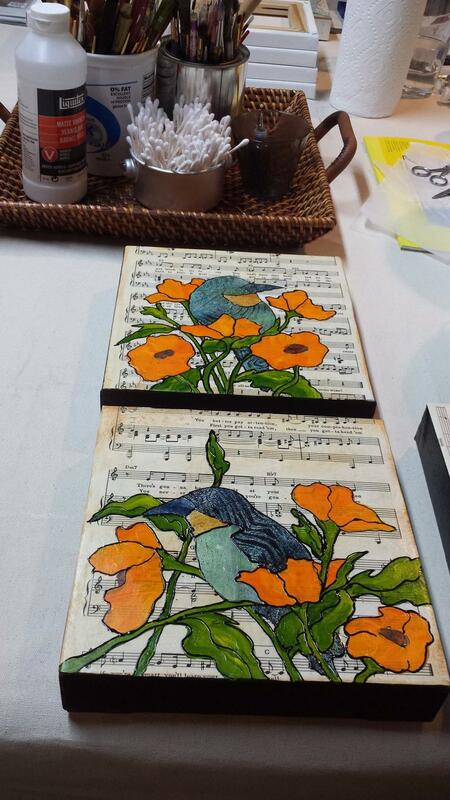 Come visit me at my new mobile gallery appearing.........everywhere! Stay tuned for locations but for now we will be parked on Pine St in front of Farrell Vending, directly across from Arts Riot, S.E.A.B.A., and the Burlington Food Trucks for "First Friday Art Walk" on July 7th, August 4th, September 1st, and October 6th - all weather permitting. Autumn, my favorite time of year. Nothing more beautiful. And the color says it all. Progress...just a couple of things left to do. 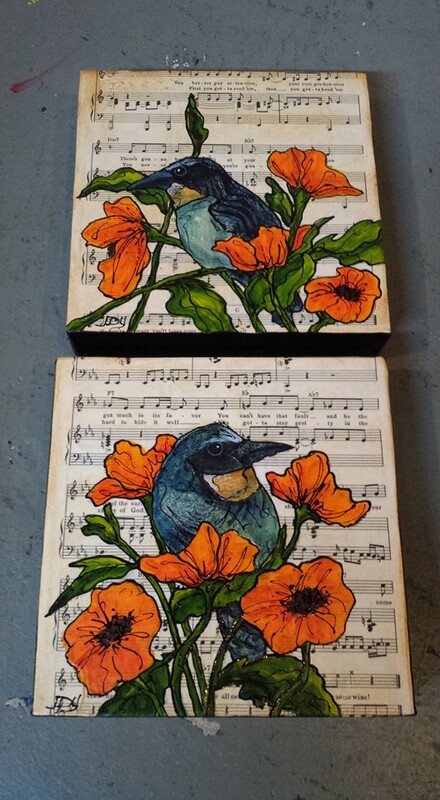 These two pieces are each 8x8 using sheet music, mono print papers that I did (then tear up for collage work, the birds in this case) and acrylic paint for the rest of the work. This is a great read: "The Expressive, Evanescent Surprise of Orange." See if you can recognize one of the paintings!